The value home and garden retailer will open the doors to its new Warrington store at Golden Square Shopping Centre, at 9am on Wednesday, April 10. Wilko signed the lease for the new 15,000sq ft store in February, closing the doors of its existing Warrington branch at Cockhedge Shopping Park on Saturday, March 23. Wilko Warrington manager Keith Peers said: “The team is busy preparing the final touches to the store ahead of the official opening on 10 April. Wilko chose to re-locate to the new shopping centre due to its central location and good transport links, adding that it believes the site will become a “go-to” shopping destination for locals. 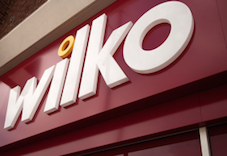 To mark the official opening, Fiona Wolstenholme a representative from Save the Children will lead a ceremonial ribbon cutting on behalf of the Wilko Charity Partnership, along with Wilko head of retail Craig McGregor and Wilko Warrington branch manager Keith Peers. Goody bags will also be given to the first 100 customers through the door, with contents including Wilko seeds, a watering can, chocolate and a spring/summer brochure.